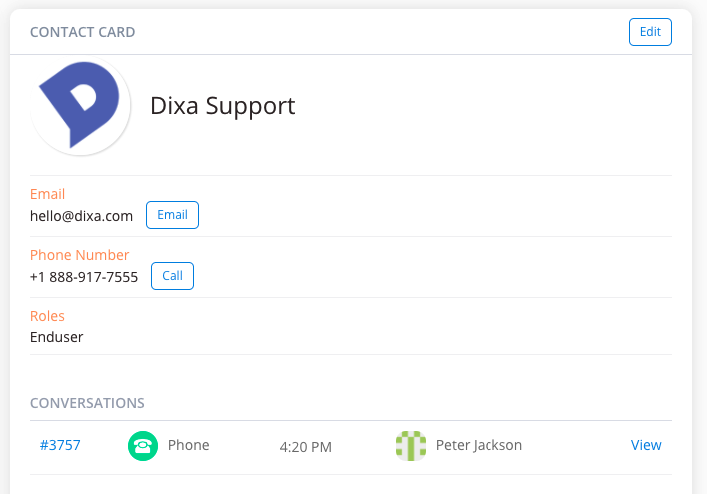 Under Contacts and Contact Card, you can change the customer's avatar, name, email and phone number. You can also see all conversations you've had with the customer and take actions such as calling or emailing the customer directly. What Kind of Support Can I Get?